When the Bible speaks of worship, it speaks of bowing down to the King. Worship is the thing that keeps us in the Kingdom. It is a continual bowing to our creator, a continual recognition that we are not our own, we belong to the King and his Kingdom. Worship then, encompasses everything we do that is bowing our knee to Him. When I choose to do what the King is asking me to do, when I turn from the things I want to do, it is worship. When temptation comes and I chose the path of the Kingdom instead of the path of the world system, it is worship. When I create with the best of my ability, it is worship. When I spend time with people, listening to their stories, finding value in their humanity, it is worship. Worship is at the core of my Kingdom life. Spending 10, 20, 30, 120 minutes singing songs to God is certainly an act of worship. 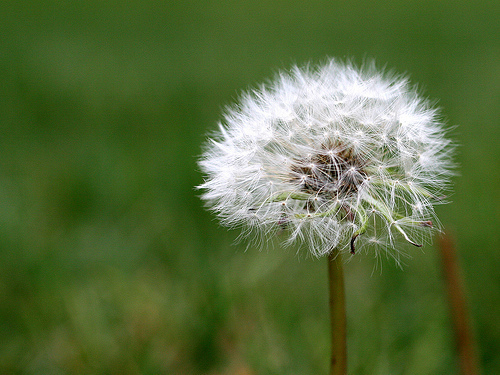 But it is no more so than stopping to enjoy the intricacies of a dandelion and marveling at Gods creativity. We do ourselves and those we lead a disservice when we relegate worship to the few minutes before the message. This is an invitation to worship. It is easy to bow to the King with music and lights, video, and hundreds (or tens) of people all likemindedly singing to God. But true worship happens when I leave the building. When I make choices to bow my knee to the King, to recognize His hand in all that I do, that is worship that the Father is seeking. Jesus said the Father is seeking those who worship in spirit and in truth. And these two things play out over the week, not just the service or gathering (depending on the relative hipness of the church). As my friend and I parted ways this weekend, he said “It was great worshiping with you this week.” We didn’t sit in a “worship conference”, we sat in each others company. We talked about vocation and the integration of faith into it. We talked about dreams and goals. We talked about families and how we parent. In short, we worshiped together. We were bowing to the King in all that we do, seeking a greater understanding of what He is doing in our lives. My challenge is this. Let’s change our vocabulary. Lets recognize the King in our day to day existence. Let’s notice those times when we are bowing to His will. Let us worship Him every moment of every day. And lets lead others into worship by helping them see the hand of the Creator a work all around us.